This was a hard book to read, but the characters are memorable and you really root hard for the main character, Charlie. Jennifer and Matthew Holm are dream team graphic novelists. Just like with Sunny Side Up, the sequel is full of heart and humor that will take away some of the sting of the difficult situation Sunny's family is going through. But what really elevates this book and the first book for me are the delightful visual details from the 1970s that make it more than just a decade of questionable fashion and home decor. She was warned. She was given an explanation. She was almost killed. Nevertheless, she persisted. Humpty Dumpty loved sitting on his wall watching the birds. After he fell, he was afraid to get back up on his wall. Fear and anxiety plagued him. But eventually, he found the courage to get back up. Rife with rich metaphor and symbolism, After the Fall is a kidlit celebration of a phoenix rising from the ashes. 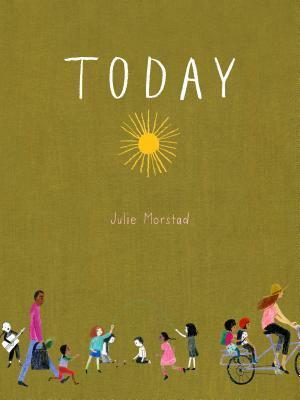 Love this quiet, gentle, yet quirky series. I keep seeing so much love for After the Fall. Unfortunately my library doesn't yet have it. I'm sure that Swing It, Sunny will be popular because that team can hardly do any wrong. 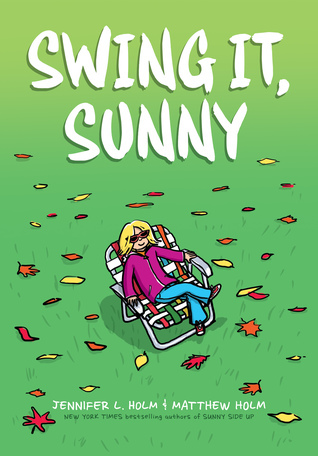 Fun to hear about the new Swing It, Sunny, & will wait impatiently for After The Fall. Thanks, Beth. I'm looking forward to all of these! Sunny Side Up is such a popular title in my little office lending library. I'm already hearing a lot about After the Fall. It sounds like a winner! 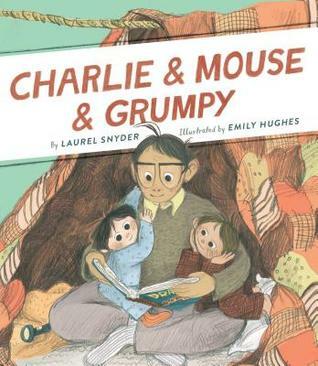 I loved the first Charlie and Mouse book. Quirky, but sweet. Beth - Loved seeing you at ALA and all of your enthusiasm for MARCH and Rep. John Lewis. I need to add TODAY to my TBR list. I loved the Malala book. 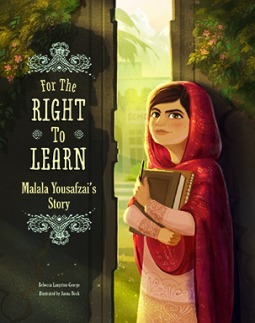 I need to get the Malala PB because she is someone I want my son and my students to know about. 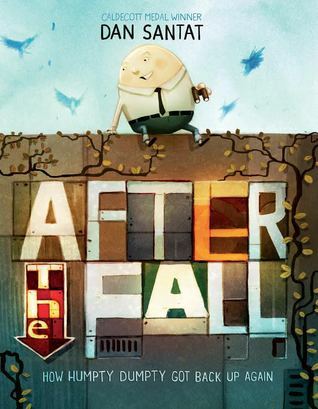 After the Fall brings me back to Santat's Beekle days - gorgeous illustrations and a story that went straight to my heart. Charlie and Mouse and Grumpy and Swing It, Sunny are both in my very soon to read pile. 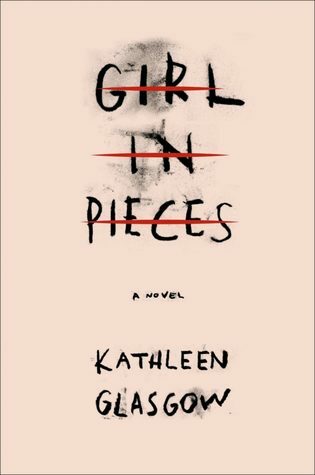 Girl in Pieces just wrecked me when I read it last year. There were tears at the gym as I finished it! Hey Beth, I can't wait to get my hands on Swing It Sunny. I am seeing After the Fall everywhere and can't wait to find a copy.